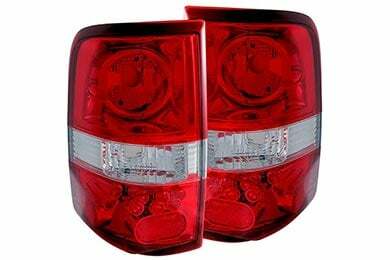 Anzo 211023 - Anzo USA Euro Tail Lights - FREE SHIPPING! The website stated subject tail lights fit my 2006 GMC but upon attempting installation, discovered middle bulb sockets, on subject tail lights, would not accept my bulb installation. The only problem with the tail lights is that the molded edge on one of the lights has a rough spot on it but it is not that noticable. Very easy to install. Makes light so much brighter and clearer. I bought them for my husbands truck and installed them myself. Worth the money spent. Reference # 760-865-462 © 2000-2019 AutoAnything, Inc.